Tophatter got in touch with me recently, asking if I'd be interested in doing a Partner Auction with them. I was quite hesitant about it, given that an auction can't guarantee me any good money at all, but after a few emails back and forth with the Partner Auction manager, and taking into consideration the fact that Seeg and I have been quite skint these past few weeks, I decided to chance it, be it right, be it wrong. 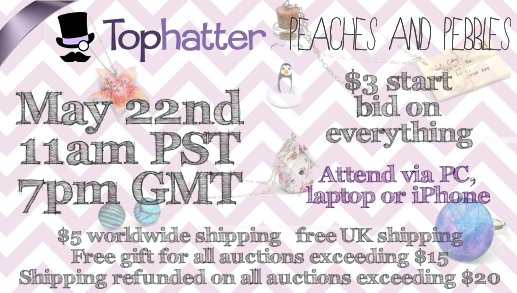 Tophatter will be spreading the word of my auction by newsletter, and my auction is currently visible on the "future auctions" page along with the majority of my lots - but the bulk of advertisement is down to me, hence the banners at the top of my blog. I'm doing what I can to spread the word without thoroughly spamming anyone. So I want to take this opportunity to invite you all to the auction. It starts at 11am PST (Pacific, GMT+8) on Wednesday the 22nd of May. You can attend via PC, laptop, or iPhone (see below for free $5 site credit with the iPhone app). 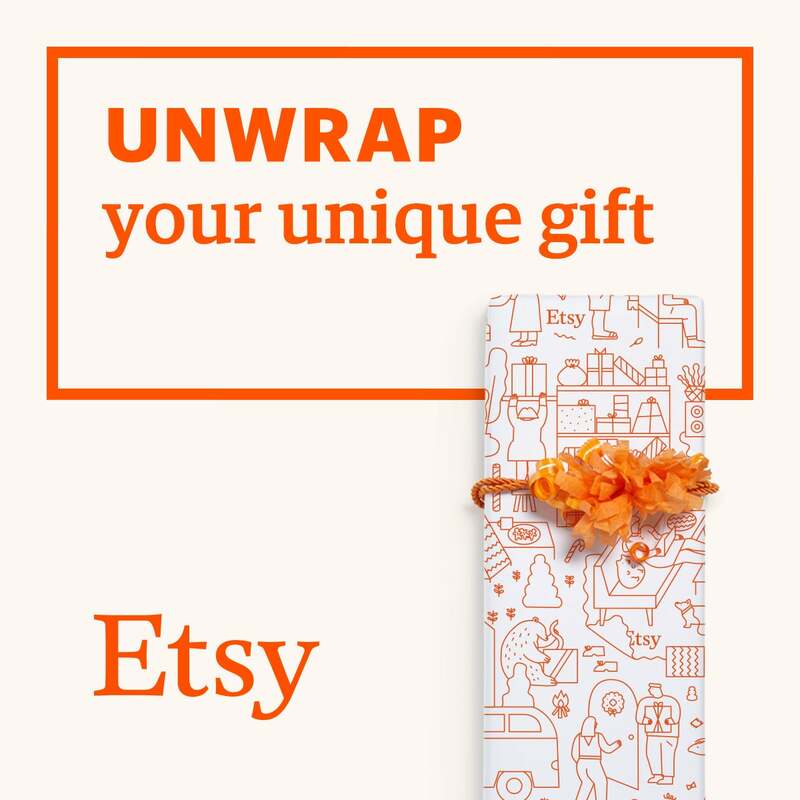 It's made up of a mixture of my most popular and my newest items, including a few One of a Kind items that I've not sold yet. Every item has a $3 start bid, which I do deem to be dangerous, but it's a risk I have to take. The money will all go towards our computer fund, which will buy us a computer and programs to make my writing easier and more comfortable. We had already had some money put by for it, but due to such a quiet few months, it's ended up coming back out to cover necessities and we're back to square one. There is free shipping in the UK, and $5 shipping for the rest of the world, but any lots that sell for $20 or more (which is at least $5 less than my cheapest lot when it's on Etsy and Storenvy) will have shipping refunded. There are also free gifts to accompany any lots that sell for $15 or more, and they stack. If a single person wins, for example, three auctions, and all three go for more than $15, then they will receive three different free gifts. As an added bonus, I have an exclusive code that allows new members to Tophatter $5 credit to use towards any auction, including my own. 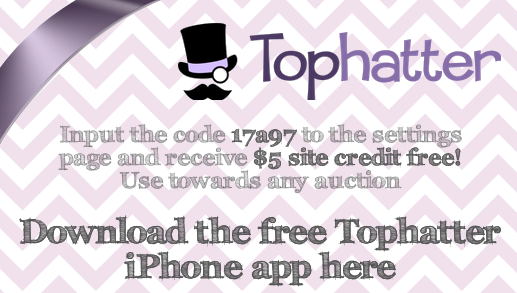 All you have to do is download the free Tophatter app onto your iPhone, which allows you to access Tophatter, bid, and contribute to auctions all while on the go through your phone, and then put the code 17a97 in on the settings page. Your account will be credited with $5 to use anywhere on the site. I'd really appreciate it if any of you could reblog this information, spread the button around and so on. It's a great opportunity to grab a bargain, and help me out in the process. This is a one-time-only auction, so it won't be happening again - unless this one is a surprising success. Get a headstart on birthday, anniversary or even Christmas gifts this May!